1. 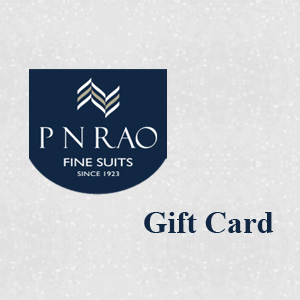 This Gift Card is valid at all P N Rao outlets. 2. No redemption possible for cash. 3. Billing in excess of face value of Gift Card should be paid for separately. 4. 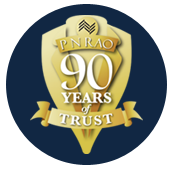 If a card is lost or stolen neither will a new card be issued nor will the money be reimbursed in any manner. Validity : 360 Days from the date of purchase. 1. 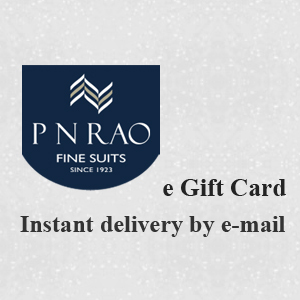 This E-gift card is redeemable for products and services at P N Rao outlets. 2. This E-gift card can neither be redeemed for cash or credit nor would any unutilized balance be refunded. 3. If this E-gift Card No. & PIN is lost or stolen, it will not be issued again. 4. Billing in excess of face value of e-gift card should be paid for separately. 5. Please present the print out of this e-gift card to the customer relationship officer prior to billing or when you want to redeem the card.